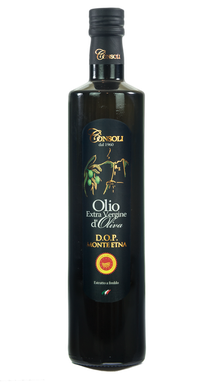 One does not have to be an expert to understand the quality of extra virgin olive oil. You need to repeat the oil tasting and apply the following simply rules and you can surely distinguish high quality oil from a low quality one. 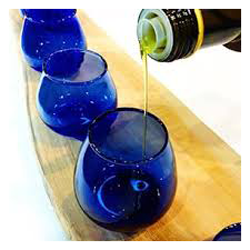 Firstly you need to have a small glass or a plastic glass (professional oil taster use a blue glass in order to neutralise the olive oil colour, thereby avoiding influencing the judgement), an apple suitable to remove the sensation between tastings. The first analysis is the visual perception. Firstly you have to pour two teaspoons of oil in the glass; then you have to tilt and twist the glass in order to evaluate the oil fluidity. If you held the oil up to the light you can observe the body and cleanliness of the oil. 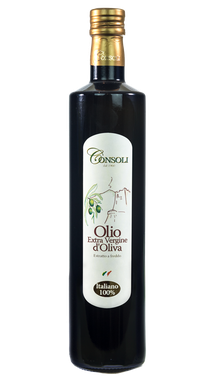 The extra virgin oil has a low-medium fluidity, the high fluidity is a typical quality of oil rich in polyunsaturated fats such us the seed oil. The green colour of the oil represents the harvest of juvenile olive; the yellow colour represents the harvest of the ripe fruit. The next step is the olfactory analysis. Cover the glass with one hand and warm it up in the palm of your hand of your other hand for some minutes until the ideal temperature of 30°C is reached (this is the appropriate condition to maintain the volatile and fragrant components). Remove your hand covering the glass and bring the cup to the base of your nose, inhale deeply to identify components of olive oil. The first sensation should remember the smell of the freshly crushed olive. Repeat the operation to collect all flavourings and perceive the degree of intensity in a scale of values which includes values from “not very perceptible taste” to “very intense taste”. After the olfactory analysis you can easily distinguish a “fruity green oil” (if the smell remember the unripe olives) from a “ripe fruity oil” (if the smell remember the ripe olives). Using this method you can identify the maturation level of the olives. 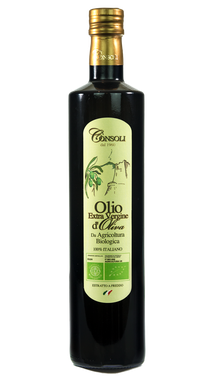 The intensity of the olive smell, with vegetables and herbs smells highlight useful elements to classify the olive oil. The next step is the tasting, useful to discover the essential flavours such as the bitter and the spicy flavours. Put a small amount of oil in your mouth distributing the oil in the whole mouth. During the tasting you should inhale air making short and repeated aspirations, the tongue should be stay against the palate with semi-open lips. Tasting the oil for about 20-30 seconds, so that the flavouring evaporates and trying to memorize most number of sensations. The olive oils bitter and spicy flavours is a virtue of the oil because represent a high presence of polyphenols (antioxidants). Many consumers confuse this important virtue as a flaw, classifying the oil as a heavy or acid product. Professional taster considersthe typical slightly bitter and spicy tastes two positive attributes of the oil. A high quality olive oil should therefore be bitter and spicy in a balanced way. 4) Be sure that your psychological and physiological conditions are positive in such a way as not to compromise the analysis. Before to start a second tasting you should eat a slice of apple in order to remove the favour and all the sensations perceived during the first oil tasting. 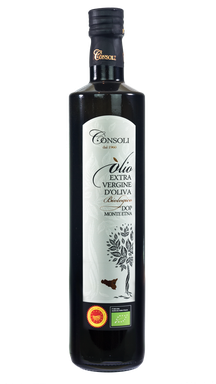 If tastes should be well distinguished from smells you can say you have tasted excellent extra virgin oil. It should have a fruity smell that should remember: crushed olives, olive tree leaves, fresh cut herb, tomato, artichoke, almond, lettuce, etc. During the degustation what shouldprevail arethe bitter, fruity and spicy tastes. RANCID: often found in oils that have been exposed to the air or put inside dirty containers.